Burgoo is a casual dining restaurant specializing in American cuisine. The restaurant got its name from a stew dish which originates from Kentucky, USA. 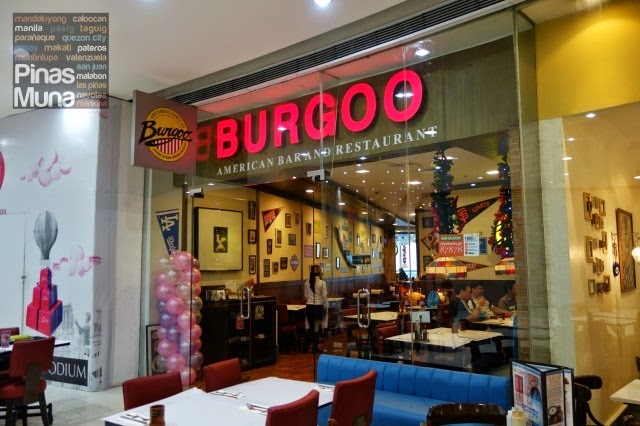 Burgoo delivers an authentic American dining experience by offering high quality American food, served in American size, with a touch of American-style customer service. This led a lot of Filipino in thinking that Burgoo is an international franchise, but in contrary, Burgoo is proud to be 100% Filipino-owned. 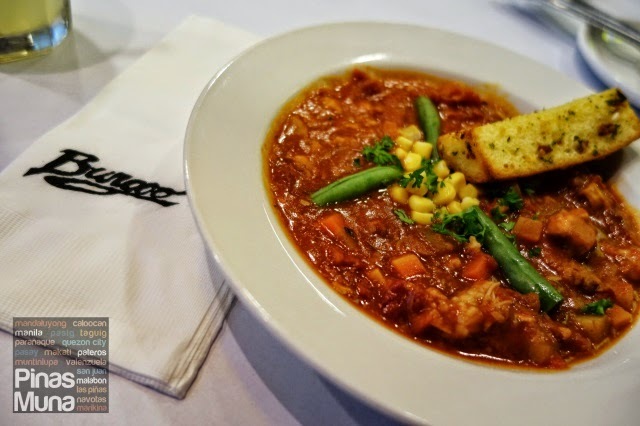 Burgoo has always been one of our favorite restaurants. Burgoo has been part of many celebrations during the years when I was still working in Makati and Libis. Birthday celebrations, team lunches or simply casual dining with friends or family, Burgoo has always been one of our top choices. That is why we were overjoyed to be invited by Burgoo to visit their Podium branch and try some of their dishes. It was like a mini reunion with an old-time friend that we haven't seen for a long time. Our lunch started with the Burgoo (P145.00) a tomato-based stew of chicken, pork and beef with carrots, potatoes and flavored with spices. It has a thick soup base with deep meaty flavors. 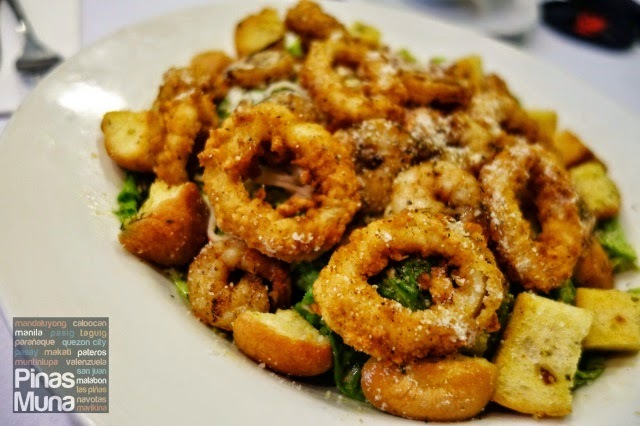 Next to be served was the Seafood Caesar Supreme (Regular: P395.00 Large: P525.00) a traditional Caesar salad topped with fried calamari, grilled shrimps, crab meat, Parmesan cheese and croutons. 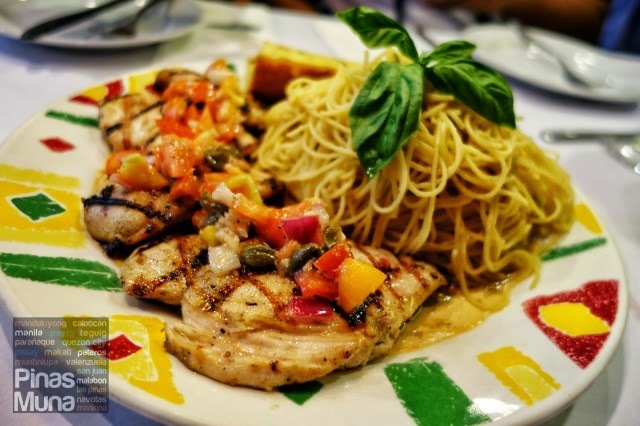 It was then followed by the Chicken Diane (Regular: P375.00 Large: P525.00) which comes with tender and juicy grilled chicken fillet served with garlic spaghetti on a pool of creamy Diane sauce. 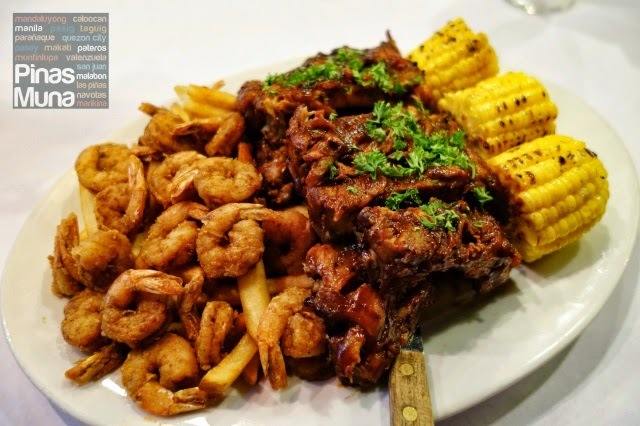 Another best-seller, the Shrimps and Ribs Platter (Regular: P695.00 Large: 995.00) was served. It's a delectable combination of barbecued baby back ribs and Cajun spiced fried shrimps, with U.S. fries and grilled corn on the cob on the side. For dessert we sampled three of Burgoo's bestselling cakes. 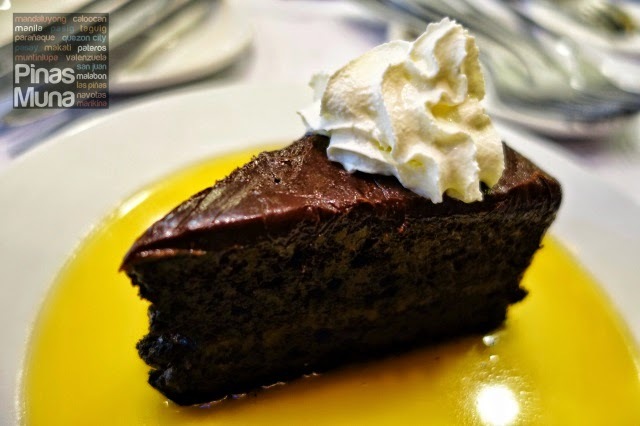 Edgar loves the Chocolate Cake (P175.00) a moist chocolate cake that is not overly sweet. It is served on a pool of light caramel sauce. I usually don't enjoy chocolate cakes because they are usually sweet, but Burgoo's version is actually not as sweet as it looks like. 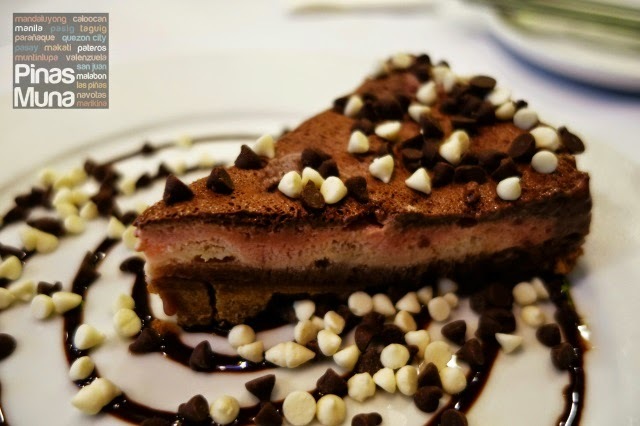 Next is the Mississippi Mud Pie (P175.00) which is a dense but smooth cake that has a light chocolate flavor. It is served with generous sprinkle of chocolate chips. My favorite has got to the the Raspberry Cheesecake (P175.00). The cheesecake was creamy and smooth to the palate. 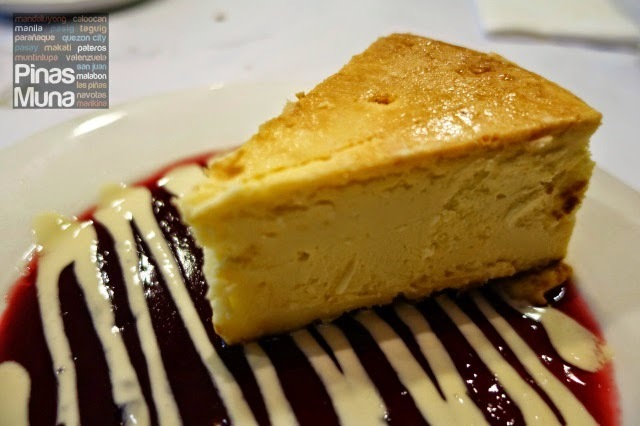 It is served on a layer of raspberry syrup that went well with the luscious tangy cheesecake. It was indeed a pleasure to be back here at Burgoo to try other dishes on their menu. Thank you so much Burgoo for inviting us at your Podium branch.